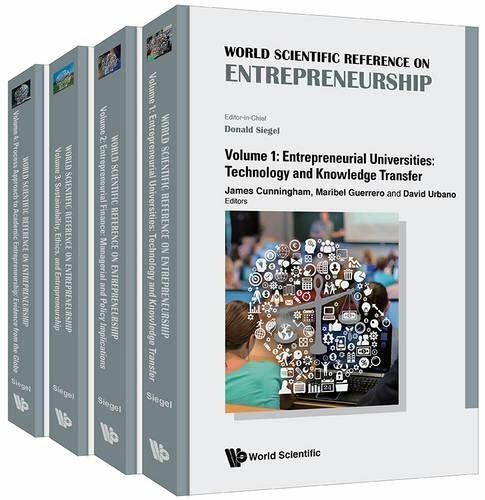 9789814733304 | World Scientific Pub Co Inc, December 28, 2016, cover price $950.00 | About this edition: This multi-volume set focuses on a topic of growing interest to academics, policymakers, university administrators, state and regional economic development officials, and students: entrepreneurship. 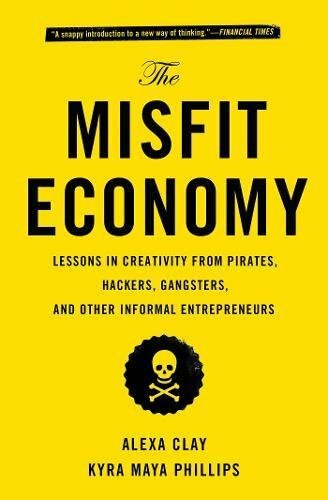 9781451688825, titled "The Misfit Economy: Lessons in Creativity from Pirates, Hackers, Gangsters, and Other Informal Entrepreneurs" | Simon & Schuster, June 23, 2015, cover price $26.00 | About this edition: A book that argues that lessons in creativity, innovation, salesmanship, and entrepreneurship can come from surprising places: pirates, bootleggers, counterfeiters, hustlers, and others living and working on the margins of business and society. 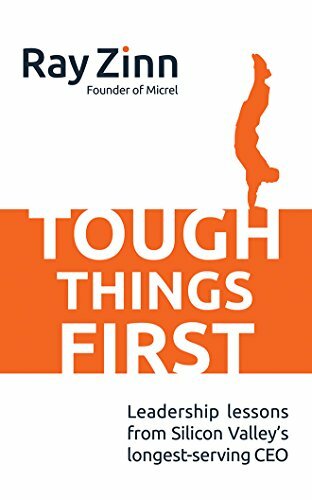 9781451688832 | Reprint edition (Simon & Schuster, October 25, 2016), cover price $16.00 | About this edition: “A fresh perspective on business practices or working lives…and a snappy introduction to a new way of thinking” (Financial Times), The Misfit Economy shows how lessons in innovation, salesmanship, and entrepreneurship can come from surprising places: pirates, bootleggers, counterfeiters, hustlers, and others living on the fringe of society. 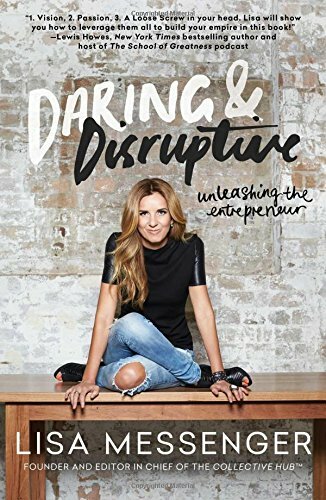 9781501135866 | North Star Way, September 13, 2016, cover price $16.00 | About this edition: Vibrant, game-changing CEO Lisa Messenger shares an insightful account of her rollercoaster ride as the creator and founder of the globally popular Collective Hub, the hip magazine of inspiration for disrupters and innovators of all stripes—with bold ideas on how you can stay on track and remain true to whatever your passion may be. 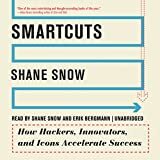 9780062302458 | Harperbusiness, September 9, 2014, cover price $26.99 | About this edition: Entrepreneur and journalist Shane Snow (Wired, Fast Company, The New Yorker, and cofounder of Contently) analyzes the lives of people and companies that do incredible things in implausibly short time. 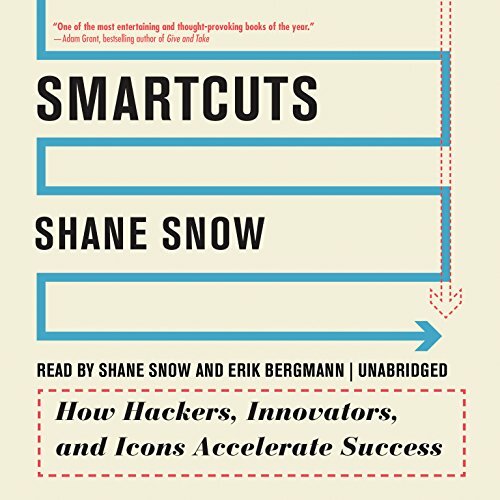 9781483028217 | Unabridged edition (Blackstone Audio Inc, September 12, 2014), cover price $29.99 | About this edition: Entrepreneur and journalist Shane Snow, and cofounder of Contently, analyzes the lives of people and companies that do incredible things in implausibly short time. 9781138923775 | 2 revised edition (Routledge, August 29, 2016), cover price $155.00 | About this edition: What are you waiting for? 9780415586436 | Routledge, February 1, 2011, cover price $180.00 | About this edition: What are you waiting for? 9781138923782 | 2 revised edition (Routledge, August 29, 2016), cover price $79.95 | About this edition: What are you waiting for? 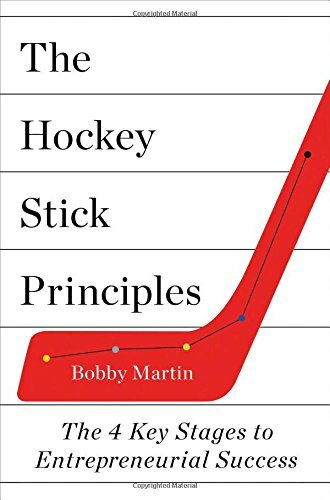 Product Description: The updated revised edition of the bestselling book about how to turn simple ideas into marketable money-making products. 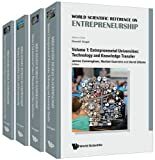 9781259589676 | Rev exp edition (McGraw-Hill, October 6, 2015), cover price $25.00 | About this edition: With must-have updates, a new edition of the bestselling method that shows how anyone can turn their one simple idea into millions – without lifting a finger! 9780071756150 | McGraw-Hill, February 22, 2011, cover price $22.00 | About this edition: Turn your one simple idea into millions―without lifting a finger! 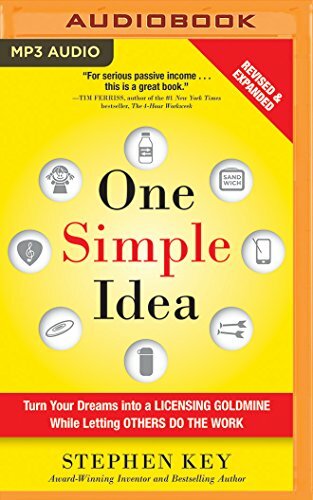 9781522690375 | Mp3 una re edition (McGraw-Hill Education, August 2, 2016), cover price $14.99 | About this edition: The updated revised edition of the bestselling book about how to turn simple ideas into marketable money-making products. 9781522690368 | Una rev ex edition (McGraw-Hill Education, August 2, 2016), cover price $19.99 | About this edition: The updated revised edition of the bestselling book about how to turn simple ideas into marketable money-making products. 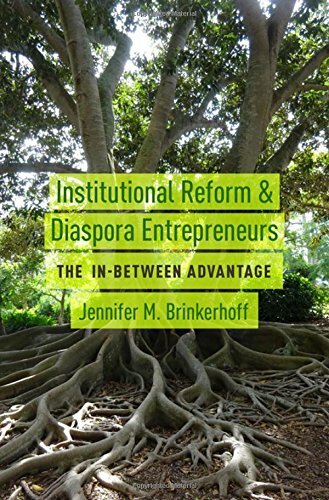 9780190278229 | Oxford Univ Pr, August 1, 2016, cover price $74.00 | About this edition: Externally-promoted institutional reform, even when nominally accepted by developing country governments, often fails to deliver lasting change. 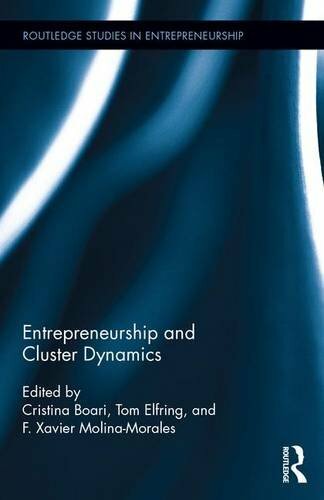 9781138124530 | Routledge, July 1, 2016, cover price $150.00 | About this edition: Entrepreneurship and Cluster Dynamics focuses on the origin and development of clusters and specifically on the role played by the strategic entrepreneurship in these contexts. 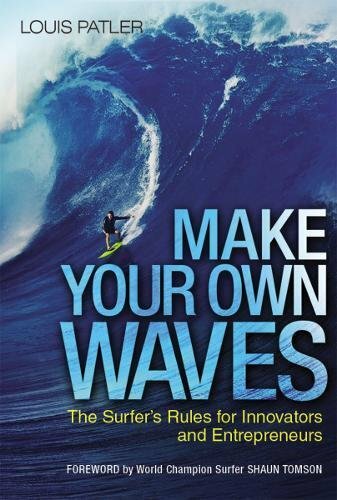 9780814437230 | Amacom Books, July 7, 2016, cover price $21.95 | About this edition: Within a month of publication, Make Your Own Waves was named the NASDAQ Book of the Month and also was the #1 new release in surfing books on Amazon. 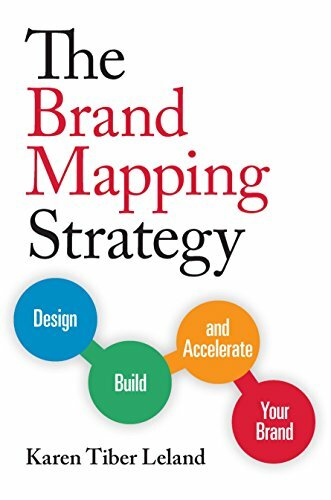 9781599185897 | Entrepreneur Pr, June 14, 2016, cover price $21.95 | About this edition: If You Don’t Define Your Brand, Someone Else Will Define It for YouSharing hard-earned insights, advice, and best practices, brand and marketing strategist Karen Tiber Leland helps entrepreneurs, business owners, CEOs, and executives create a brand by design instead of default, gain greater influence in their industries and companies, and become thought leaders in their fields. 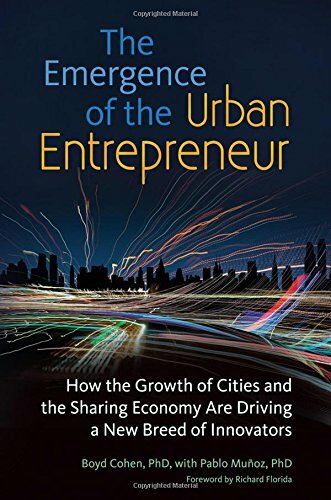 9781440844553 | Praeger Pub Text, May 31, 2016, cover price $37.00 | About this edition: Combining emerging trends in collaboration, democratization, and urbanization, this book examines the emergence of entrepreneurship and innovation as a primarily urban phenomenon, explains why urban environments are rapidly attracting global innovators across three distinct forms of "urbanpreneurship," and lights the path forward for entrepreneurs, innovators, and city governments. 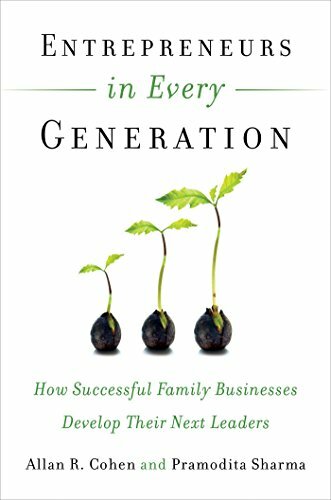 9781629561264 | Bibliomotion Inc, May 24, 2016, cover price $24.95 | About this edition: When it comes to how to succeed as an entrepreneur, we are besotted with advice. 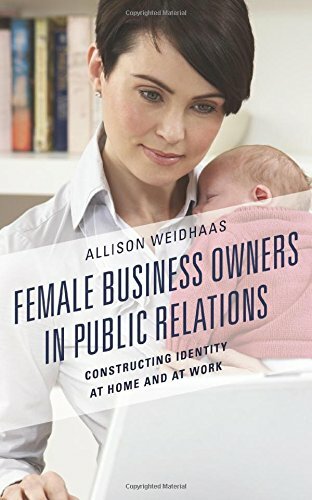 9781498522410 | Lexington Books, May 15, 2016, cover price $80.00 | About this edition: Female Business Owners in Public Relations: Constructing Identity at Home and at Work presents an important perspective on how female business owners construct their work-life integration and addresses key identity questions. 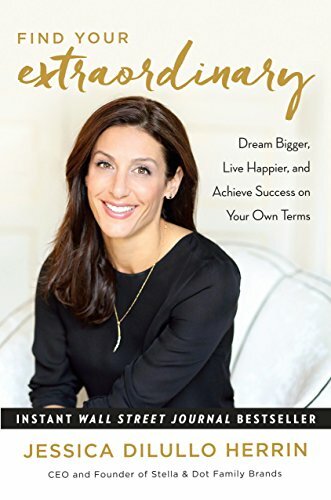 9781101905944 | Crown Pub, May 3, 2016, cover price $27.00 | About this edition: In this Wall Street Journal bestseller, Jessica Herrin, serial entrepreneur and founder and CEO of the Stella & Dot Family Brands, shows how the classic traits of successful entrepreneurs are ones each one of us can develop--and use not only to create a company, but also to create an extraordinary life. 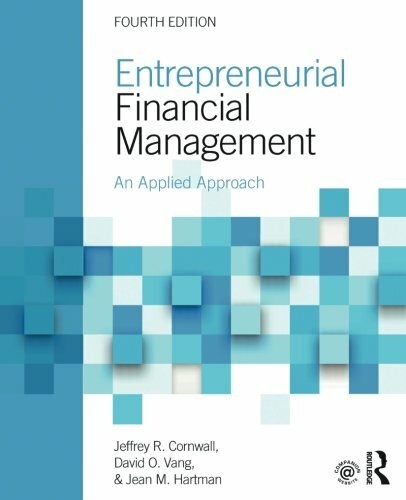 9781138860049 | 4 revised edition (Routledge, May 30, 2016), cover price $240.00 | About this edition: This new edition presents an applied, realistic view of entrepreneurial finance for today's entrepreneur. 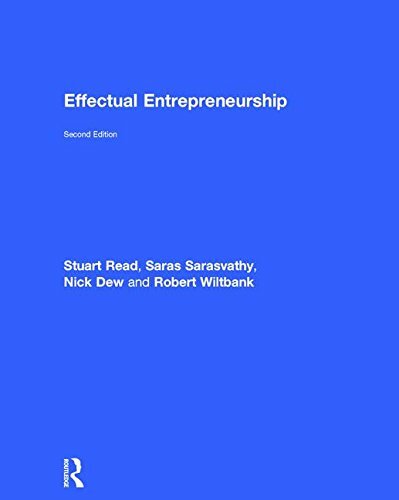 9780765646859 | 4 revised edition (Routledge, May 30, 2016), cover price $79.95 | About this edition: This new edition presents an applied, realistic view of entrepreneurial finance for today's entrepreneur. 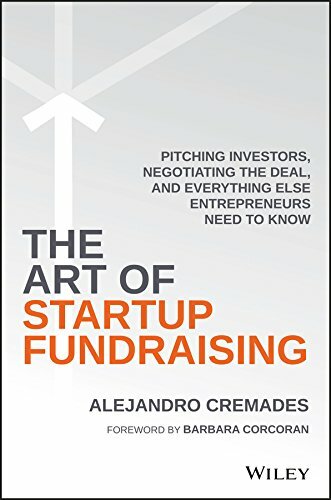 9781250066374 | Flatiron Books, May 24, 2016, cover price $27.99 | About this edition: Many business books fuel unrealistic notions about what a good idea looks like, how fast a founder should attract investment, and how quickly growth will take off. 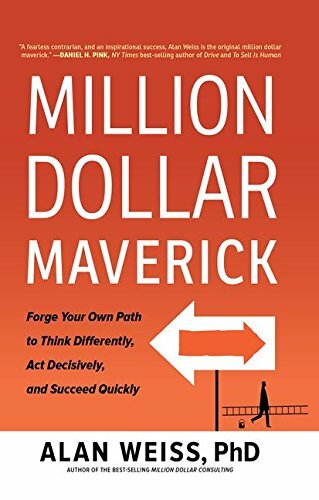 9781427268129 | Macmillan Audio, May 24, 2016, cover price $39.99 | About this edition: Many business audiobooks fuel unrealistic notions about what a good idea looks like, how fast a founder should attract investment, and how quickly growth will take off. 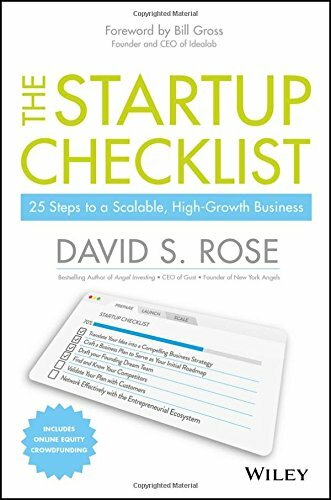 9781119163794 | John Wiley & Sons Inc, April 25, 2016, cover price $32.00 | About this edition: 25 Steps to Found and Scale a High-Growth Business The Startup Checklist is the entrepreneur's essential companion. 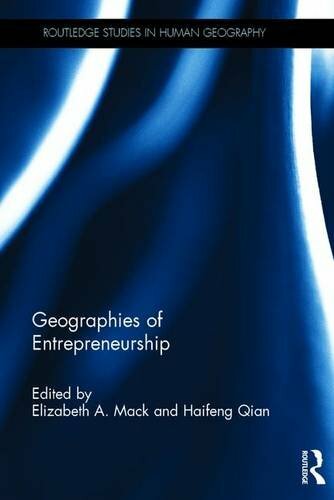 9781138921061 | Routledge, April 5, 2016, cover price $145.00 | About this edition: This book addresses a gap in the present literature on the role that geography plays in the distribution of entrepreneurial activity. 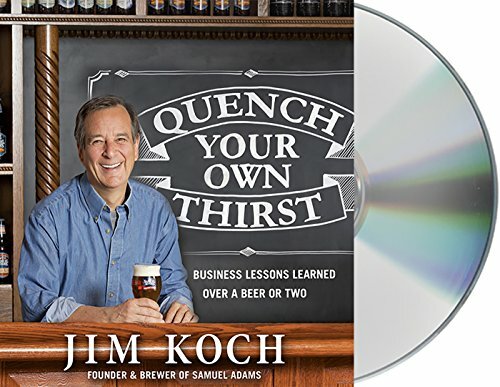 9781427268181 | Unabridged edition (Macmillan Audio, April 12, 2016), cover price $29.99 | About this edition: Founder of The Boston Beer Company, brewer of Samuel Adams Boston Lager, and a key catalyst of the American craft beer revolution, Jim Koch offers his unique perspective when it comes to business, beer, and turning your passion into a successful company or career. 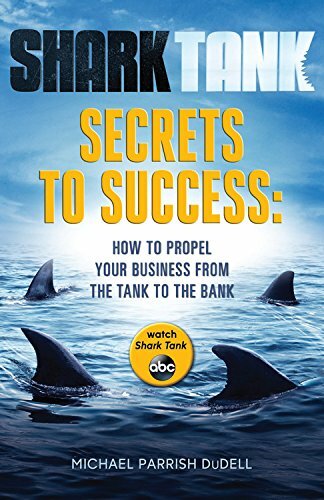 9781484723258 | Kingswell, May 3, 2016, cover price $14.99 | About this edition: Shark Tank Jump Start Your Business (Book 1) was all about the high-level process of starting a venture: how to assess an idea, how to start a business, how to grow a company. 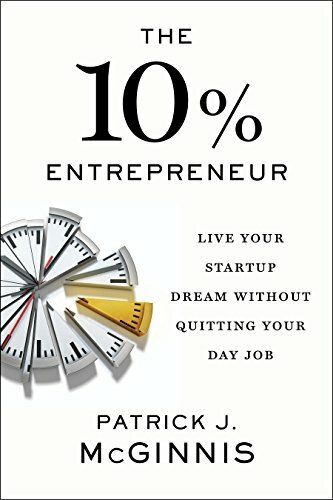 9781591848097 | Portfolio, April 12, 2016, cover price $28.00 | About this edition: Choosing between the stability of a traditional career and the upside of entrepreneurship? 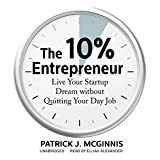 9781504691734 | Unabridged edition (Blackstone Audio Inc, April 12, 2016), cover price $29.95 | About this edition: Conventional thinking says that entrepreneurship is all about excitement and big bets, while traditional career paths are all about stability. 9781119191834 | John Wiley & Sons Inc, April 11, 2016, cover price $25.00 | About this edition: Startup money is moving online, and this guide shows you how it works. 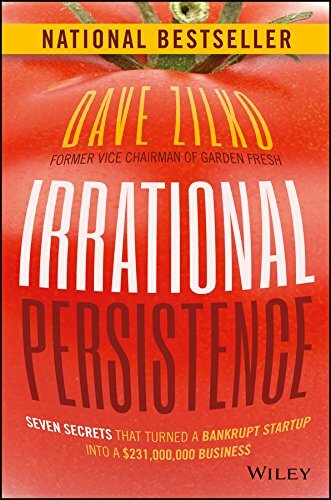 9781119240082 | John Wiley & Sons Inc, April 4, 2016, cover price $25.00 | About this edition: A modern-day Detroit success story that fuels the entrepreneurial fire Irrational Persistence tells the story of Garden Fresh Gourmet, and how two entrepreneurs turned a million-dollar debt to a 100-million-dollar annual revenue.